“Dr. 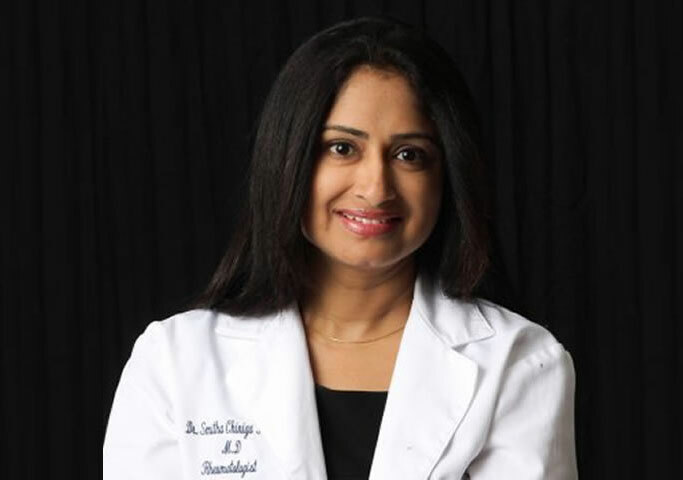 Smitha Reddy is the founding physician of Arthritis Care and Research Center, Inc. and serves the residents of San Diego and nearby communities. The doctor offers a wide variety of services to her patients. She uses cutting edge technology to provide the most accurate diagnosis possible. She offers effective treatment plans that are individualized to meet each patient’s needs. Her goal is to ensure that each patient receives the best care possible and is one hundred percent satisfied with the service provided to them. Dr. Reddy received her Fellowship from Scripps Clinic-Torrey Pines after graduating from Scripps Mercy Hospital as a Board-certified Internist. During her fellowship, she performed research using Color Doppler Ultrasonography on Temporal Arthritis patients to determine inflammatory changes while on therapy. Dr. Reddy continues to use Diagnostic Musculoskeletal Ultrasound testing to access joint inflammation in her practice and routinely performs Ultrasound guided injections. Dr. Reddy holds certification to perform Platelet Enriched Plasma (PRP) Injections to alleviate pain related to Osteoarthritis and soft tissue pain related to Tendinitis. Being certified in Anti-Inflammatory diet management, she emphasizes diet and lifestyle changes to her patients. Dr. Reddy was awarded the Best Physician Award for the City of Poway in the year 2012. She also served as a Medical Honoree for Arthritis Foundation in the year 2013 and continues to be an active participant and fundraiser. Dr. Reddy is a speaker for various pharmaceutical companies and routinely conducts physician and patient education talks. Dr. Reddy continues to do research in her practice and perform specialized diagnostic laboratory testing for systemic inflammatory conditions like Lupus and Rheumatoid Arthritis. In Nov 2016, she presented a Poster at The American College Of Rheumatology Conference in Washington D.C. about cutting edge diagnostic testing for Lupus. She conducts in-house laboratory testing which enables quick and efficient diagnosis of Lupus in a community clinic setting. This would lead to an early and accurate diagnosis of Lupus and autoimmune disorders. She enjoys research and will be actively involved in multiple research studies involving connective tissue disorders, which would benefit her patient population immensely to receive accurate management of their conditions. 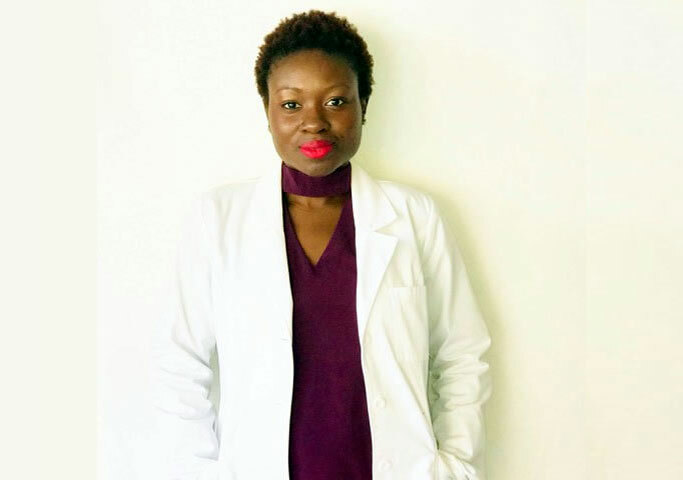 “Abimbola (Abby) Akinruli is a board certified Adult Nurse Practitioner. She graduated from Florida A&M University with a bachelors of science in nursing in 2008 and by 2013 she obtained her masters degree in nursing from the university of medical and dentistry New Jersey (now Rutgers University). Abby practiced as a registered nurse on medical surgical and telemetry units for 3 years in Brooklyn, NY. While in New York she was certified as a wound care consultant and also spent some time working in the community as a site nurse overseeing medical care of developmentally disabled clients and monitoring staff. In 2013 she relocated to the San Diego area where she worked as a charge nurse at Alvarado hospital on medical and surgical units. As a nurse practitioner she spent some time mentoring in outpatient pulmonary and family medicine.